If they can ever complete it, their house will be one of the largest private mansions in the United States. Timeshare mogul, David Siegel, 77, and the former beauty queen wife, Jackie, 46, planned a lavish home before the economic implosion of 2008. Hello Friends, this is Doug Batchelor. How about an amazing fact? If they can ever complete it, their house will be one of the largest private mansions in the United States. Timeshare mogul, David Siegel, 77, and the former beauty queen wife, Jackie, 46, planned a lavish home before the economic implosion of 2008. Now they're struggling to complete it. They call the 90,000 square-foot mansion, the American Versailles, after the famous French palace. Bigger than a 747 airplane hanger, the ambitious house features 15 bedrooms, with an 8,000 square-foot master bedroom, I can fit three of my houses just in their master bedroom, 30 bathrooms, nine kitchens, a roller rink, full-service spa, two movie theaters, six swimming pools, a bowling alley with two lanes, a tennis court with a 200-seat stadium, and a 30-car underground parking lot. The homeless, two-story mahogany doors and windows alone cost $4 million dollars. The Siegels would like to finish their dream home, but currently it's on the market for 75 million. Do you know your Bible says that Jesus has prepared an even better mansion for you and me and the title has been paid for? Stay with us friends. We're going to learn more as Amazing Facts brings you this edition of Bible Answers Live. Pastor Doug Batchelor: We are back. This is Bible Answers Live. Welcome to a program dedicated to answering your Bible questions. You can call in, and it's a free phone call of course, 1-800-GOD-SAYS, that's 1-800-463-7297. We do have some lines open so if you give us a call now, there's a good chance your question will be on tonight's program. 1-800-463-7297 is the number for the studio. My name is Doug Batchelor. Pastor Jëan Ross: My name is Jëan Ross. Good evening listening friends and Pastor Doug. Let's begin the program with prayer. Dear Father, once again we thank You that we have this opportunity to study Your Word. We ask Your special blessing upon this program. Be with those who are listening wherever they might be, and we ask for wisdom as we search the Scriptures. Be with us tonight in a special way. In Jesus' name, amen. Pastor Jëan Ross: Pastor Doug, you open the program by talking about a colossal house, a mansion that ambitiously was designed and then, actually, they began building it, but then they weren't able to finish it. Pastor Doug Batchelor: Haven't completed it yet but boy there's a lot there right now. I guess whatever they have they're not far from Orlando and northern Florida. I figure it's worth $75 million even uncompleted. I looked at this story and I thought, "You know, these folks are looking for happiness this side of death." Jesus said that He has a mansion prepared for all those who trust in Him that we can't even imagine. I mean, some of the mansions in the homes that you see advertised, and frankly, sometimes I enjoy watching these programs that talk about houses in different parts of the world, and the different views, and the different climates and features. It's fun to dream about that beautiful retirement spot you might find in the perfect place. But really, there is no perfect place in this world. I remember hearing about a couple that was thinking about where they're going to retire, and they did all the research, looking for place that had the best climate and a stable economy, and saved for more, good record, and they finally settled on the Falkland Islands. Of course, that was about a few months before the war broke out there. It just goes to show you that there is nowhere this side of heaven where you're going to have that perfect dwelling place. But Jesus said that He's got a place prepared for us that we can't even imagine. The mind cannot conceive, the ear has never heard, what God has prepared for those that love Him. You can read in John 14, verse 1, Christ here says, "Let not your heart be troubled. You believe in God, believe also in Me. In my Father's house are many mansions," or many dwelling places. "If it were not so, I would have told you. I go to prepare a place for you. And if I go and prepare a place for you, I will come again and receive you to Myself; that where I am, there you might be also." Jesus has made this promise to us, that He's preparing dwelling places. There is no place on this earth that is going to come anywhere near the habitations that God is preparing for His children. I mean, you just stretch your imagination a thousand times; and, for one thing, the joy we're going to have in our heart just being there, will surpass any kind of four walls that might exist. But He's preparing that place for you too friends, but you need to do something to find out about that kingdom and to embrace His free offer. Would you like to know more about it? We have a free book tonight to talk about. Pastor Jëan Ross: We do, dealing with this subject of heaven. The book is entitled "Heaven: Is it For Real?" For anyone listening who'd like to receive this free offer, give us a call on our resource line. The number is 1-800-835-6747, and you can ask for the book, "Heaven: Is it For Real?" We'll be happy to send that out to you, or anyone just for the asking. And also Pastor Doug, we're streaming this program again live. So if somebody is near their computer and they'd like to join us and participate not only in hearing but actually seeing the program, you can go to, Live.AmazingFacts.org, and you'll be able to join us at that website. Well, we're going to go to the phone lines. Our first caller this evening is Joe and he's listening in Nebraska on K295B1. Joe, welcome to the program. Joe: I'll tell you, I had the pleasure of meeting you in Lincoln in Nebraska when you were here for camp meeting. Pastor Doug Batchelor: Oh yeah, that has been a couple of years ago. Joe: Was that a couple of years ago? Joe: A few years [laughter]. My question is about the feast days. Weren't they done away with at the cross when Jesus died? Pastor Doug Batchelor: Well, yes. And for our listening friends, there are a number of Jewish feast days that were instituted in connection with the Exodus. These are not part of the Ten Commandments. Most of the Ten Commandments you can find them going all the way back to Creation, things like, "Don't murder," "Don't Lie." Even the Sabbath truth goes all the way back to before there was even sin. But there were a number of ceremonial sabbaths that were annual feasts. The seventh-day Sabbath was weekly. It was part of the regular cycle of time; but the ceremonial sabbaths, things like Passover, and the Feast of Trumpets, and the Day of Atonement, they were annual feasts that would help the people recognize the Messiah when He came. When Jesus died on the cross, it tells us that the veil in the temple was torn from top to bottom, indicating that all of the ceremonial feasts and festivals that pointed to Christ, they really met their fulfillment in Him. And so, obviously, we don't need to sacrifice Passover lambs anymore, because that would be something of a denial that Jesus is our Lamb. There's a lot that we can learn from studying the feasts. They all teach us something about salvation. Joe: Well, I have some friends that religiously celebrate the Passover, and the Feast of Trumpets, and the Feast of Tabernacles and they really are serious about doing this; and there's division in some of our members because we believe that that was done away with the cross, and yet they're using Scripture to prove that it's still supposed to be done. And I just am confused. Pastor Doug Batchelor: Well you know, there's that verse that tells us that Christ is our Passover, which is sacrificed for us. So it wouldn't make any sense to continue to sacrifice lambs, and the same thing with the other feasts. We don't find the early Christians, if you go from the times of the apostles on, there's no evidence that the early church was observing these. Pastor Jëan Ross: The verse you're referring to there Pastor Doug is 1st Corinthians chapter 5, verse 7, which says, "Christ is indeed our Passover. He was sacrificed for us," 1st Corinthians chapter 5, verse 7. Pastor Doug Batchelor: You know, there's another verse. If you look in Romans chapter 14, and this is specifically what Paul is talking about. Sometimes people have misapplied this verse. You go to Romans 14 and you can start with, oh, verse 5. "One man esteems one day above another: another esteems everyday alike. Let everyone be fully persuaded in his own mind. He that regards the day, regards it to the Lord; and he that regards not the day to the Lord, he does not regard it." Now, in Paul's day, when a number of Gentiles were accepting the Christian faith, the Jewish Christians were telling them, "You've got to keep the Jewish feast days." Paul said, "Look, if you want to continue to keep the Jewish feast days, there's certainly nothing morally wrong with a person celebrating the Feast of Tabernacles and building a tent, or taking a trip to Jerusalem." But to say it was a requirement, Paul said, "That's something that is no longer an obligation." It talks about the laws that were done away with. There are really four categories of law. You've got civil law. And the civil laws were things like if your neighbor's donkey wanders off, you bring it back to him. Then there was the Ten Commandment law, which is a moral law that's permanent. Then there were health laws, that are laws just about keeping our bodies holy temples for the Lord. And then there was a number of ceremonial laws. The ceremonial laws are the ones that Paul is speaking of, and those ceremonial Sabbaths that were nailed to the cross. It really doesn't make sense that, if you have the substance, you would want to continue to embrace the shadow. Pastor Jëan Ross: You know Joe, we have a book dealing with the subject. We'll send it to you for free if you'd give us a call on our resource line. The number is 1-800-835-6747, and the book is entitled, Feast days and Sabbaths. Again, the number is 1-800-835-6747, and the book is entitled, Feast days and Sabbaths, and we'll be happy to send that out to anyone who gives us a call and asks for it. Our next caller is Fred and he is listening in Connecticut on WMCA. Fred, welcome to the program. Fred: Yes, I wanted to ask you about Hebrews 4:16, when it says, "O come boldly to the throne of grace," how they are really using that word "boldly"? Pastor Doug Batchelor: Well, "boldly" means without shame or without timidity, being able to come with courage to the throne, because we have a Friend there. And it used to be that only the priest could go into the presence of God; but now by faith, we can enter in to the heavenly temple through Jesus, who is our Friend. That's why it's saying we can come boldly. Because of the sacrifice of Christ, we don't have to be ashamed to present our petitions. Jesus said, "Up until now you've asked nothing. Ask, that your joy might be full." We're to ask. So it's in that context He tells us to "come boldly to the throne." Does that help or make sense? Pastor Doug Batchelor: Alright. Well thank you, Fred. Appreciate your call. We have a book that we can share with you that talks about the intercession of Christ and how we can pray better. It's called, Teach Us to Pray. Pastor Jëan Ross: If you'd call our resource line, again that's 1-800-835-6747, and the book is entitled, Teach Us to Pray. The number is 1-800-835-6747. 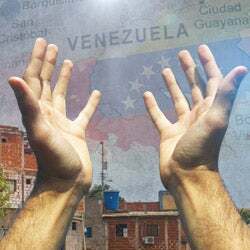 That is the resource line and again, the book is entitled, Teach us to pray. Our next caller is Richard and he's listening from Visalia, California on KARM. Richard, welcome to the program. Pastor Doug Batchelor: Yes, Richard. Your question? Pastor Doug Batchelor: 360,000 years? Pastor Doug Batchelor: For our friends that are listening, a good rule when you're interpreting a lot of the time prophecies is, for instance, there's the 490-day prophecy, 70-week prophecy you find in Daniel 9; and that prophecy doesn't make any sense unless you apply the principle of a day equals a year. Even Jesus made a prophecy in Luke 13 where He said, "Go tell Herod, that fox, that I teach, and do cures, and cast out devils today and tomorrow, and the third day I'll be perfected." Well Jesus preached three more years, not three more days. So even Jesus supports that. Now, Richard is wanting to know if you use a day for a year in prophecy, the 1,000- year period that you find in Revelation chapter 20, would that really be 360 or 365,000 years. I would say no. I think it's a literal 1,000-year period, because that's something that really begins when eternity begins. So people have already got their glorified bodies, eternity has begun for the redeemed. They're not going to be needing to measure time that way, but you know what? You won't get any complaints from me if we are spending that first 360,000 years with the Lord before the end of the millennium. I mean, I won't mind one bit, but I think it is a literal 1,000 years. Pastor Jëan Ross: You know, there's also a principle that we find in Scripture, not only does one prophetic day equal one literal year, but in 2nd Peter, the apostle Peter says, "Know ye not that one day with the Lord is as a thousand years." We know the earth has been inhabited for about 6,000 years; and then when Jesus comes, there is this thousand year rest, this 1,000-year millennium, this time period. But at the end of that 7,000-year period, that's when God creates a new heavens and a new earth, sometimes referred to by theologians as "the great week of time," 7,000 years. God has given 7,000 years for the whole great controversy to play out. And at the end of that, He makes everything new. Pastor Doug Batchelor: Absolutely, yeah, that makes good sense. Pastor Jëan Ross: We have a study guide dealing with this subject of a thousand years and it's called, 1,000 Years of Peace. Richard, if you'd call, we'll be happy to send that study guide to you. It's entitled, 1,000 Years of Peace. The number is 1-800-835-6747. Ask for the study guide, 1,000 Years of Peace. Our next caller is Tim and he is listening in San Antonio, Texas. Tim, welcome to the program. Tim: Hey, how you doing? Yeah, this is Tim, the street evangelist. You know me Doug. Tim: Yeah, the one from Wisconsin, but now I'm in Texas. I have to say I've read the Bible through completely twice, the New King James, the old King James, and seven times through the New Testament alone and so on, and over and over in Revelation. But I was told this years ago and it always bothered me, when you're reading the Old Testament and when it says "God," people said that it's actually Jesus they're talking about. Is there any truth in that? Because I don't know if it's God the Father a lot of times, or if it's Jesus. Pastor Doug Batchelor: Alright. Well, let's just do a little bit of detective work. We read in the Gospel of John that, "All things that were made were made by Him," the Word, Christ, and so we know that the Word that it speaks about there is Christ. And if you read in Genesis, "In the beginning God created the heavens and the earth," and then we can read also in, I believe it's Colossians that God, through Christ, made all things. So it is safe to say that God made everything. God the Son is the Creator. I know that we always picture that Jesus is the one who dies for the sins, and God the Father who made the world is the one who so loves the world He gives His son, but with a little closer examination we find out that it was even God the Son, prior to His Incarnation, that created our world. You really hear God the Father and Son in partnership, because its says, "Let Us make man in Our image," so they're working together in the creation of the world. But it's safe to say that God the Father had somehow committed that; and when it says, "God formed man of the dust of earth," it was probably Jesus that knelt over and sculpted the first man. Tim: Well, are there any particular texts that are really just referring to the Father then? Are you saying that the majority of what you're reading in the Old Testament when it says "God," it's really Jesus? But is there any particular text in the Old Testament where it's really God the Father speaking? 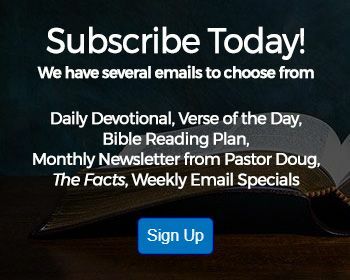 Pastor Doug Batchelor: You find in Daniel chapter--is it chapter 7 Pastor Ross, where it talks about the "one like the Son of man came unto the Ancient of days?" Pastor Doug Batchelor: So here you've got the Ancient of days would have to be God the Father; the one like the Son of man who comes to intercede before Him is going to be Jesus, God the Son. This is a vision that Daniel 7 has of the great Judgment day. So there you have God the Father separate from God the Son. Tim: Yeah, it's just in the Old. The New, it's pretty plain. Tim: But in the Old--so then the vast majority, when you see "God," because like with Israel, with Moses and everything, when God is mad at him and He puts him into slavery and everything, that's really Jesus doing that then? Pastor Doug Batchelor: Yeah. Sometimes we get this idea that God the Father is stern and wrathful and Jesus is just very tolerant and indulgent, and they forget that They're really one and the same. When you get to Revelation that talks about the seven last plagues that fall out, they're coming from the wrath of the Lamb. It's very clear that Jesus is long suffering and compassionate. You know, there's another verse in Isaiah chapter 9, verse 6, a famous prophecy about Christ's first coming. It says, "For unto us a child is born, and unto us a son is given: and the government shall be upon his shoulders: and his name will be called Wonderful, Counsellor, The mighty God, The everlasting Father." So, in the sense that Christ is our Creator, you can say He's also our Father in that sense; but when Jesus was on earth He said, "Pray, Our Father which art in heaven," and then we pray in Jesus' name. So, God the Father, Son and Spirit are Partners. You know, I have a book that I'll send you a free copy of Tim. The book on The Trinity that I wrote really covers this. I hope it'll make it a little easier. Pastor Jëan Ross: The number to call is 1-800-835-6747. That is our resource line, and the book is entitled, "The Trinity: Is it Biblical?" Again, 1-800-835-6747, and ask for the book on The Trinity. Our next caller is Charles and he is listening in Toronto, Canada on XM Radio. Charles, welcome to the program. Charles: Thank you for taking my call Pastors. Pastor Doug Batchelor: Yes sir. Charles: I have a question. I'm a little confused about what happens when we die, from children, to old people, to sinners, to the saints? In the story of Jesus on the cross with the thief He said, "...today you will be with me in paradise." And then from Lazarus He said, "Lazarus is sleeping and I am going to wake him up." So when we die, what happens to us? Are we in a sleep mode or are we in paradise? Or those who believe in Christ go to heaven? Charles: Those who do not are in Judgment? I don't know what happens to them. Pastor Doug Batchelor: Well, first thing, if you can remember--now I figure if you're listening on XM you may be driving--there's a study guide we'll send you for free, and it's called, "Are the Dead Really Dead?" So if you remember that, just call the resource line; and you can also even go to the Amazing Facts' website and read that for free. But very quickly, when Jesus talked to the thief on the cross, there is a common misunderstanding. Jesus said to the thief, "Verily I say to you" and then there's a comma, "today you will be with me in paradise." There was no punctuation in the original Greek. Translators of the English Bible had to figure out, "Now where we going to put the comma?" Is Jesus saying, "Verily I say to you today(, comma) you will be with me in paradise"? Or is He saying, "Today you will be with me in paradise"? It makes all the difference in the world to where you put the comma. We believe the emphasis is Jesus is saying, "I'm telling you today(, comma) you will be with me in paradise. Today, even though I don't look like a Lord, I don't look like a King, because you have faith in Me and you're asking for help, I'm making a promise today, that you will be with me in paradise." The thief could not have been in paradise with Jesus that day because you read in John chapter 20 two days later when He rises Sunday morning, Mary grabs Him by the ankles to worship Him, and He says, "Do not cling to me, for I have not yet ascended to my Father." Now there's no misunderstanding that He said He had not yet ascended so the thief could not have been with Jesus Friday afternoon in heaven if Jesus hadn't even gone to paradise yet. So the Bible teaches that the resurrection and the Judgment is still in the future; and so when a person dies, their next conscious thought is either the resurrection of the saved or the resurrection of the lost. There's no consciousness of time for them. It seems instant to them. But for us who are now living in this world, time is still going on. It hasn't happened yet. They are sleeping in their graves, waiting for the resurrection. The dead in Christ will rise first. Paul says, 1st Thessalonians chapter 4, when He returns, and that's verse 16; and then a thousand years later the wicked are resurrected. Pastor Jëan Ross: Let me add a verse to this passage that you're just talking about, the thief on the cross. In Luke chapter 23, verse 42, you actually have the thief asking Jesus a question, and the thief says, "Lord, remember me when you come into your kingdom." In other words, the thief was saying, "Lord, remember me when you come again!" So he wasn't expecting to receive his reward that very day, but he was looking forward to a future event when Jesus would come. Then Jesus gave him the assurance that day that yes, He would remember him when He comes. Pastor Doug Batchelor: So, hey I hope that helps a little bit Tim. Don't forget to go to the Amazing Facts' website. We do have a lesson you can read there for free, "Are the Dead Really Dead?" 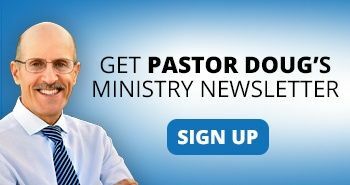 Pastor Jëan Ross: We also have a website dedicated to the subject called www.DeathTruth.com. It'll give you all of the Scriptures dealing with the subject. Our next caller is Mervin and he is listening from Canada on WDCX. Mervin, welcome to the program. Mervin in Canada, Hamilton, Canada. Pastor Doug Batchelor: Yes hey, you got us. You're on the air. Your question real quick? Mervin: Yes, I'm still here. Yes sir, I'm still here Pastor. Pastor Jëan Ross: And your question quickly? We've got about two minutes before our break. Mervin: Okay, it's simple. The question is what is the difference between speaking in tongues and a heavenly language? Pastor Doug Batchelor: Alright, I appreciate that question. When it talks in the Bible about speaking in tongues, it's generally talking about being given the supernatural ability to speak in another language. The word "tongue" just means language that you formally did not know. On the day of Pentecost in Acts chapter 2, in Acts chapter 10, in Acts chapter 19, they were given the ability to supernaturally speak other languages through the Holy Spirit. When it talks about a heavenly language, now angels probably speak a different language than people. At the Tower of Babel all the earthly languages were confounded. Paul says in 1st Corinthians 13, "Though I speak with the tongue of men and angels," now the word "though" there means "even if." Paul was not claiming that he spoke with angelic languages. He's saying, "Even if I spoke with the tongue of angels, if I don't have love, it's nothing, just sounding brass or a tinkling cymbal." So there's no record of anybody speaking in a heavenly tongue on earth. Whenever the gift of tongues was given biblically, it was for the purpose of communicating the Gospel. It says they were magnifying God, where they were prophesying or talking about the wonderful works of God. They all knew what they were saying. Now Mervin, we do have a free gift book on this, we'll send you a copy; anyone who has questions about the subject of speaking in tongues. It's called, Understanding Tongues. Call the resource number and we'll send that to you. Pastor Jëan Ross: The number is 1-800-835-6747 and the book is entitled, Understanding Tongues. Pastor Doug Batchelor: You're listening to Bible Answers Live. Pastor Jëan Ross: Pastor Doug, just before we go to our break, we'd like to let folks know of an upcoming event. Matter of fact, it's just three weeks away now. It's an event that's going to be taking place in Tennessee called, Ultimate Purpose. Pastor Doug Batchelor: Yes, we abbreviate it as UP, Ultimate Purpose. We're going to be talking about what is the ultimate purpose of life and how you can elevate your faith from theory to reality. This is a program especially designed for those that are in the college age range, somewhere between 17, 25. A lot of young people during those years are wondering, "Now, is there really a God?" And, "What is truth?" I saw this philosophy that they're bombarded with. How do we know that God created the world and we did not evolve? We're going to be dealing with these big questions, "How do I know God's will for my life?" Ultimately we'll be talking about, "What is His plan for you?" And, "How can I be saved?" Ultimate Purpose: October 11 through 13. Go to our website, Amazing Facts for more information. We'll be right back after the break. Pastor Doug Batchelor: Hello friends. If you've joined us along the way, we are on board with Bible Answers Live. If you would like to call in with a Bible question, we have a couple of lines free. Here's that number again, toll-free, it's 1-800-GOD-SAYS, that's 1-800-463-7297. 1-800-463-7297 brings you into the studio. Have your writing utensil and your Bible; we'll be giving you some websites, as well as a toll-free line for the free offers that we make available. This program is all about putting truth within people's reach and then we just trust that you folks will read the material and share with your friends. We want to get the Bible truth out there, because this is the Book that is the truth. It sets people free. Alright, we're going back to the phones. I'm still Doug Bachelor. Pastor Jëan Ross: And I'm still Jëan Ross. We going to go straight to our next caller. We have Ruth who is listening in Florida, listening on WITT. Ruth, you're on the air. Ruth: Yes sir. Thank you so very much for your program. It helps so much. Ruth: I'm calling regarding 2nd Corinthians 5:8. Ruth: "To be absent in the body is to be present with the Lord." A friend of mine asked me what it meant and I had a difficult time. Could you help me, or do you have a booklet on this subject? Pastor Doug Batchelor: Well, we have both. We have a study guide we can send you that's called, "Are the Dead Really Dead?" I'll try and give you a quick answer; of course, we believe this is true. First of all, Paul sometimes is speaking in poetic terms so there are a couple of ways we can understand this. Paul has a lot to say about being spiritually-minded and being fleshly-minded. If a person is living spiritually-minded, they are in the presence of God, or walking and living with God, like Enoch. But when a person dies, and of course, that's if you died to self, you're living with God; but when a person physically dies, your next conscious thought is the presence of the Lord, because when a person sleeps that sleep of death, it is a dreamless sleep. You have no awareness of time. The next thing you know is you're raised either for the resurrection of the just, you're caught up to meet the Lord in the air. Or you are in the lake of fire and are going to Judgment. And so, the next conscious thought that a person has is they're going to meet God, saved or lost. It tells us in the Bible that "prepare to meet thy God," because when a person dies, the next thing they know is they're in the presence of God. But it hasn't happened yet because the resurrection is still in the future. The great Judgment Day hasn't happened. See, God does not take people right after they die and put them in hell before they're even judged. Neither does He take people and then put them in heaven, pull them out of heaven, judge them, and put them back in heaven again. So, the rewards are given when Christ comes. What's that verse in 1st Corinthians 15? It just, to me, it makes it so clear. It talks about the sequence. It says, "And they that are Christ's at his coming," 1st Corinthians 15. Let me see if I can find that for you really quick. Pastor Doug Batchelor: Let me see, still looking here. Pastor Doug Batchelor: Well it tells us here, you can look in--oh, you have it Pastor Ross? Pastor Jëan Ross: ...speaking of the resurrection. That's 1st Corinthians 15:23. Pastor Doug Batchelor: The resurrection that happens at his coming. That's why it says in 1st Thessalonians chapter 4 when the Lord comes, then the dead in Christ rise; and we who are alive, those who happen to be alive--and I believe some who are listening to my voice right now will be in that category of people who are alive when the Lord comes--they're caught up to meet Him the air. That's going to happen at the coming of the Lord. Ruth: So when you were talking on 2nd Corinthians 5:8, he wasn't talking about himself? Pastor Doug Batchelor: No, I don't think Paul is talking about himself there. Paul is saying he was going through a lot of persecution. He knew that people wanted to kill him everywhere turned, and if he died he wasn't afraid because he knew his next thought was to be in the presence of the Lord. But he said, "You know, it's good for me to be here now for you," talking to the church. As long as he was alive he could help the church members and encourage them, but he wasn't a bit afraid of death. He knew his next thought would be the presence of God; but that's because there's no consciousness in death. Let me give you one more example. King David, and this is Acts chapter 2, Pastor Ross will find the reference for me. Pastor Jëan Ross: That's Acts chapter 2 and verse 29, and then again in verse 34, speaking of King David waiting for the resurrection. Pastor Doug Batchelor: Yeah, and so if David died in about 1000 B.C., or 950 B.C., and now we are 2,900 years later, it hasn't felt like 2,900 years to David. As far as David is concerned, it says, "...he slept with his fathers," that means he went to sleep; but for David, his next thought is going to be the resurrection, the presence of the Lord. You see what I'm saying? But it hasn't happened yet, because we live in time. Ruth: For using that translation is a little, kind of difficult to understand because it says, "To be absent in the body is to be present with the Lord." Pastor Doug Batchelor: Yeah, it makes it sound like it's present tense [cross talking]. Yeah, it can be confusing, it can be confusing. You know, I think the other translations, they all struggle with the wording. Whenever you go from Greek or any language to another language, sometimes the sentence structure and even the way cultures communicate, it could be confusing. But the Bible writers, and especially Paul, he knew that people don't get caught up to meet the Lord until the second coming because Paul is the one who wrote 1st Thessalonians chapter 4. Pastor Jëan Ross: Ruth, we've got a study guide dealing with this subject called, "Are the Dead Really Dead?" If you'd call our resource line we'll send it to you, and I believe this very verse is discussed in that study guide. The number to call is 1-800-835-6747. You can ask for the study guide, "Are the Dead Really Dead?" We also have a website entitled, Deathtruth.com, just www.DeathTruth.com. This website will also discuss this verse, and many others dealing with the subject of what happens when a person dies. Pastor Jëan Ross: Dressed up like a witch. Pastor Doug Batchelor: ...a mannequin, yeah. Pastor Jëan Ross: Our next caller is Sharon and she's listening in Roseville, California on KFIA. Sharon, welcome to the program. Sharon: Hi, thank you for taking my call. Hello Pastor Doug and Pastor Jëan Ross. Sharon: ...he has said that Jesus presented all the Commandments in that sermon except the Sabbath; and if the Sabbath is so important, how come Jesus didn't mention anything about the Sabbath? Pastor Doug Batchelor: You know, every now and then I'll hear what they call an urban myth. It says one of these stories that people repeat over and over again, and then you kind of dig down and you find out that it has just been--it was started as a wives' tale, it got repeated, and then just becomes self-perpetuating. What you just shared--and I hope I'm not being unkind--but that is a very common statement but it is simply not true; because for one thing, you do not hear Jesus say anything about the Commandment that says don't take the name of the Lord in vain anywhere. Matter of fact, that doesn't appear anywhere in the New Testament. The only Commandment that doesn't appear in the New Testament is the Third Commandment, "Do not take the name of the Lord in vain." And so does that mean that Christians can now break that? Well of course not. And I think the principle of that Commandment, "Hallowed be thy name," in the Lord's Prayer is found in the New Testament. But the Sabbath is specifically mentioned several times in the New Testament. Now, you don't hear Jesus say in the sermon on the mount, "Remember the Sabbath day, to keep it holy. Six days...." He doesn't repeat any of the Ten Commandments--well I shouldn't say that. He does repeat two of the Ten Commandments. He says, "You have heard it said by them of old, You should not commit adultery; but I say if man looks on a woman to lust...." So He does refer to the Seventh Commandment, and He does refer to the Commandment about killing. But specifically He doesn't quote the other eight in the sermon on the mount. So, you see what I'm saying? Pastor Doug Batchelor: Yeah. So the idea that the Sabbath is somehow the one Commandment left out, I've heard people say that; but if you read through the sermon on the mount a lot of the Ten Commandments aren't mentioned there. Pastor Doug Batchelor: But in the New Testament you'll find every one of the Ten Commandments mentioned almost verbatim, except for the Commandment about taking God's name in vain. Pastor Doug Batchelor: But that's not a good argument to break that one. Sharon: Yeah. He tried to argue with me over the--well, it's not really a bad argument, we're just friends; and so he wants answers as to why at the top of the sermon why didn't He mention it? Pastor Doug Batchelor: Well, He does. You know, Jesus said that the Son of man is Lord of the Sabbath; and the very fact that Jesus ran into more grief over the subject of the Sabbath. He often did miracles on the Sabbath day to heal somebody, but He never once said you don't need to keep the Sabbath anymore. He just said you're keeping it wrong. They were making all these man-made laws; but never did Jesus say you don't have to keep the Sabbath. Matter of fact, if you go to Acts chapter--I believe it's Acts chapter 16, Paul and Luke said, "On the Sabbath, we went to a river where prayer was want to be made. We sat down and spoke to the women that resorted thither." So you can read over and over, Paul preached in the churches on the Sabbath, and the apostles kept the Sabbath. It tells us Jesus, as His custom was, entered into the temple on the Sabbath. Pastor Jëan Ross: That verse you're referring to is Acts chapter 16, verse 13. Pastor Doug Batchelor: Yeah, and then the verse that says Christ, as His custom was, He went into the synagogue on the Sabbath and He stood up to read the Scriptures. So Jesus had this custom, this pattern, of going to church every Sabbath and reading the Bible. Pastor Jëan Ross: That's Luke chapter 4, verse 16. And then, of course, you have Matthew chapter 24 where Jesus says to His disciples, "Pray that your flight be not in winter, neither on the Sabbath." Pastor Doug Batchelor: Yeah, and that's not talking about your flight on Southwest Airlines. It's talking about fleeing for your life. So He was looking ahead to His people, His followers, when they might have to flee because of persecution. He said, "Pray that you don't have to do it in the winter when there's no food in the fields, or on the Sabbath," which is a day of worship and a holy day. So, why would Jesus say that? It would have been so much easier to just say, "You don't need to worry about the Sabbath in the future. It's done away with," or anything like that. You know what, to me, is a powerful argument Sharon, and I don't mean to wear out this question but we get it a lot. Let me just say a word more. If, when God gave the Ten Commandments He speaks from a mountain, it trumpets from a mountain top with His own voice, God speaks with His own voice, doesn't relegate this to a human, then He writes it with His own finger these Ten concise Commandments, gives it to His people. If He was going to change one of the Ten Commandments--most Christians never have a problem with the other nine Commandments, and if you try to go to virtually any church in town--if you want to preach on the other Commandments, they'll say, "Amen." Why would that one Commandment that God says, "Remember," be the only one that they're saying He really wanted us to forget about? And furthermore, if He did want us to forget about it, wouldn't He have been equally as loud and bold and obvious in believing it as He was in giving it? I mean, why would it be so vague? So we have no reason to believe that Christians are not to gather together and to keep that day of rest and to worship God. Pastor Doug Batchelor: Yeah, they're talking about Colossians, pardon me, I'm sorry. They're talking about Colossians chapter 2, where he's talking about these annual feast days. There were a number of things that were called sabbaths; and you can read in Leviticus, even in the Old Testament, they called this annual feasts sabbaths. That's Leviticus 23. It was completely separate and distinct from the weekly day of worship that is in the Ten Commandments. See, in creation when God made the world, He makes the world in six days. Why do we have seven days in a week? Because He made one more day just for the Sabbath, and there was no sin back then. There was no problem with that day. God blessed it, and He sanctified it, the second chapter of the Bible. So, that's a completely distinct, separate law from the Jewish ceremonial annual feasts that came later. They were all nailed to the cross, but Christians still need that weekly day of rest. Pastor Jëan Ross: Or you can call our resource line and we can send you our study guide on the subject called, The Lost Day of History. The number to call is 1-800-835-6747, and you can ask for the study guide, The Lost Day of History. Our next caller is Rachel and she is calling from San Diego, California, listening on KPRZ. Rachel, welcome to the program. Rachel: I heard you, Jëan Ross, weeks ago. I don't know how many, a number of them. There was a discussion about when a baby in the womb actually becomes a person. And I was thinking about the passage in Luke 1 where Mary, I think just a few days later after she talked to the angel, she went to see her, I think it was her cousin, Elizabeth, and Elizabeth was six months pregnant at that point. When Mary walks through the door Elizabeth says, you know, "Why did the mother of my Lord come to visit me?" She must have had amazing revelation. And John the Baptist, at six months, recognized Jesus at only a few days, having been, you know, like you said, it was a few days later. Pastor Doug Batchelor: Recently conceived, yeah. Rachel: Mary hurried to the hill country. That seems pretty amazing. Does that speak to you of Jesus being a person in a few days, after being conceived by the Holy Spirit? Pastor Doug Batchelor: Yeah, we believe--well maybe you're addressing that to Pastor Ross. Rachel: Either. Either of you gentlemen. Pastor Jëan Ross: I think it's amazing when you think about it that one day in heaven, the angels were looking at the throne and they always saw Jesus beside the Father on the throne, and one day they look towards the throne, and it was just the Father. Jesus wasn't there, and suddenly their attention is directed to this little town there, Bethlehem, close to Jerusalem, and there's the Lord. Even at the moment this miracle took place and Mary was with child, that was the King of kings. So, it's just an incredible thought. 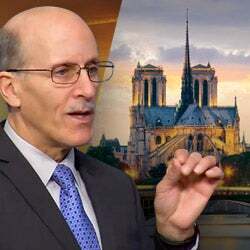 Pastor Doug Batchelor: There's even an Old Testament verse, when Bathsheba discovered that she was pregnant after her on rendezvous with David. She doesn't say, "I've got some kind of fetal tissue." She said, "I am with child." And so soon as they recognized that they had conceived, they understood it to be a person. There's no other place where I believe believers can draw the line and say, "When does this become a sacred individual?" The conception is a miracle, and at that point of conception, all the DNA information of who that person is going to be is present. It's just something sacred that happens and it should be recognized that way. I appreciate your call on that Rachel. Pastor Jëan Ross: Our next caller is Marline and she's listening in Oregon on KWUF. Marline, welcome to the program. Marline: Yes, thank you, and thank you for taking my call. I have a question back to tongues, speaking in tongues. I can't find the Scripture and I can't even think of all that, you know. Pastor Doug Batchelor: Give us part of it. We might find it. Pastor Doug Batchelor: Yeah, it talks about "with groanings which cannot be uttered?" Marline: Yeah, there you go. Now when I pray I have the Holy Spirit. Is it necessary to have the groanings? What does it mean when it says that? Pastor Doug Batchelor: Well first, Pastor Ross will read it. Pastor Jëan Ross: Let me read the verse. It's Romans chapter 8, and it's verse 26, and the apostle Paul writes, "Likewise the Spirit also helps our weakness: for we do not know what we should pray as we ought to: but the Spirit Himself makes intercession for us with groanings which cannot be uttered." Pastor Doug Batchelor: You know, I think Paul is referring there to when Hannah was praying for a baby. She was rocking back and forth and her lips were moving, and she was pouring out her heart; and she may have even been groaning because Eli thought she was drunk, because she was just pouring out her heart and soul and making these noises - and sometimes we don't even know what to pray for. We just know that we've got this agony of need. The Holy Spirit will take the cry of our heart that we might not have the vocabulary for, that we may not have the ability to articulate, and He will make our prayers eloquent before God. So, that's part of the work of the Holy Spirit, as He is a bridge and intercessor for us, He's the comforter. But that doesn't mean that we start in babbling. I think we've all had a burden on our hearts when we pray and we just can't even find the words. Marline: But then you're praying in the Spirit when you're groaning? Marline: What does it mean when they say that you must pray in the Spirit? Pastor Doug Batchelor: Well, every time a Christian prays, we should always pray in the Spirit, because the only alternative, if you're not praying in the Spirit, you're praying out of the Spirit. That means you're just praying in the flesh. So yeah, a Christian should always be praying. First of all, the first thing I pray for is the Spirit; and then the Spirit sometimes--oh, well not sometimes--the Spirit will tell us how to pray and what to pray for. Part of prayer is not just jabbering with God. Part of prayer is sometimes listening to what God is saying to us while we're being quiet before Him. Marline: Yup. He hears, He knows our thoughts. He knows what we're praying in our thoughts. He even hears that, right? Pastor Doug Batchelor: That's right. Absolutely. Marline: That's right, that's right. Pastor Doug Batchelor: God knows what things we need before we ask, but prayer really helps us. We do have that book on tongues. We'll be happy to send you a free copy of that; and so Marline, if you call our resource number, the book is called, Understanding Tongues. Jessica: Yes, thanks for taking my call. I've been wanting to call you about (unintelligible), a question about the visibility of God the Father in the Bible that it says in John 5, verse 37. Jessica: Right? If you would like to read it. Pastor Doug Batchelor: Okay, John 5:37, "And the Father himself, which has sent me, has born witness of me; you have neither heard his voice at any time or seen his shape." Jessica: Yeah. So it means that God the Father, like the guy's question about His work or visibility in the Bible, is not really in there, right? Pastor Doug Batchelor: Yeah well, Jesus makes it clear no man has seen the Father at any time, and except the Son. So in the Old Testament when Jacob, for instance, said, "I saw God," and Manoah, and others that saw God, Moses on the mountain, Abraham; if hey say they saw God, and if Jesus said, "No man has seen the Father," it's pretty clear that no man has seen God the Father, but they did see God the Son. So they saw these pre-incarnation--they call them Christophanies where Jesus appears in the Old Testament. So, it was Christ who appeared. Jessica: And like in Genesis 32:30 right? Pastor Doug Batchelor: When He appears to Abraham? Or you're talking about when He wrestles? Jessica: Okay, (unintelligible) perhaps seeing God face-to-face in my life it means it was Jesus Christ. Pastor Doug Batchelor: Yes, I believe that He saw Christ, God the Son; because Jesus is the One who ultimately made our world, and He's the One that the Father uses for interaction with, and intercession with, the world. Pastor Doug Batchelor: Well, the Father has communicated His word through the Son. The best thing we could probably recommend is that book also on the Trinity that we made available a little earlier and, hopefully, that will have some of the answers there for you. Pastor Jëan Ross: The number to call for that free resource is 1-800-835-6747, and the book again is entitled, "The Trinity: Is it Biblical?" It's 1-800-835-6747, and the book again is "The Trinity: Is it Biblical?" You can also go to the Amazing Facts' website. Just AmazingFacts.com, and you can read the book for free at the free resource library that we have. Pastor Doug Batchelor: Well listening friend, you know it wouldn't be fair if we took another caller. I hope you'll give us a chance if you are standing in the rings and call again; but might also refer you to the website. 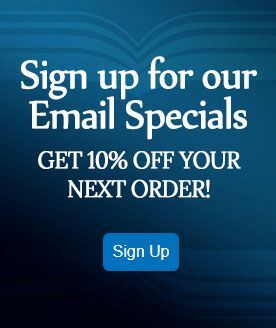 At the AmazingFacts.org website, there are just tons and tons of Bible study resources. Matter of fact, I think before another month goes by you're going to see a brand new Amazing Facts' website. You're going to see it's even better and quicker and easier in finding Bible study resources. We're using the latest, state of the art technology. We'd love to hear from you. We would like you to help us stay on the air. Go to AmazingFacts.org and click Contact Us. God Bless. Remember, Jesus is the truth that will set you free.